For years, I grabbed the same bag of flour my mom always used. Worked for her, worked for me. I'm not even sure there were many choices of flour available when I was growing up. One day, I threw caution to the wind (yep, I'm wild like that) and bought a bag of King Arthur Flour unbleached all-purpose flour....I've never looked back. Bleached flour hasn't entered out house since. King Arthur Flour isn't the only one readily available. 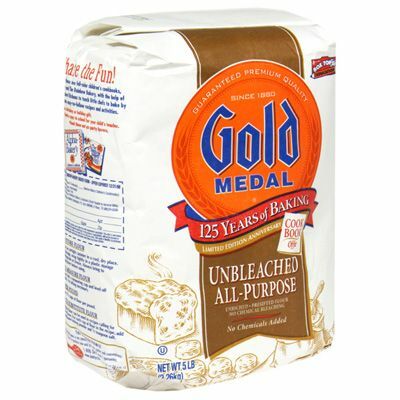 Gold Medal makes unbleached flour as well. Sometimes it's a better fit in my grocery budget. All-purpose flour with no chemical bleaching? That works for me! Do you use it? I only use unbleached, though I just buy the store brand. I don't think bleach has any place in my diet! Ick! I used to use unbleached all purpose flour, but have since moved to using white whole wheat in place of all purpose. I love King Arthur, though!! I <3 King Arthur Unbleached Flour. It's the only kind I will use. I can tell the difference now in things that use the bleached and blech! King Arthur all the way! I use the unbleached as well. I never used bleached. I also love the white whole wheat flour for bread and pizza dough. I only use unbleached as well. I use Gold Medal. I have never used King Arthur unbleached...which do you like better? I never by bleached anymore. Unbleached all the way for me! I am in Canada and the flour processing is very different here. I prefer Canadian flour actually as not as heavy. I usually use regular all purpose flour and have not found much difference between brands here. I often need to add about 1/4 cup extra to recipes made with American King Arthur Flour. My husband who grew up as an Ontario farmer can remind me the difference again, but I believe USA processing has more gluten as only uses hard part of the wheat or grains and not soft. It definitely has more gluten. I am going to try unbleached flour and we do use whole wheat and rye for bread making. I recently switched to unbleached, and I LOVE the HEB Baker's Scoop brand. I tried the Gold Brand and found that it left an overpowering flour taste in my cookies and cupcakes. I will try the King Arthur flour soon! I most always use the unbleached kind also. I don't always buy King Arthur, but I do buy unbleached. I went through the exact same scenario with the exact same result! Right now I have Gold Medal unbleached a.p. flour and White Lily a.p. flour in my pantry. To telI you the truth, I can't really tell any difference in them, but I usually try to use whichever type is called for in a recipe. I so agree. Unbleached is great. Not only that King Arthur Flour is wonderful. I love it! I used to use "regular" bleached flour. I then grabbed a bag of king arthur unbleached flour and never returned to any other kind. It has improved my recipes greatly and is sooo much healthier. I have also tried white whole wheat but it doesnt work for all recipes. Same here, unbleached is all that my family buys. Except when I'm at school, we don't have large stores, and Target doesn't sell unbleached flour, bummer. I just switched over. I never really thought about bleached/unbleached before, because I use a lot more whole wheat flour than AP flour. Though I still haven't given up my Wondra. I'm with you, Bridget! I have been using unbleached flour for years! Thanks to America's Test Kitchen, I'm an unbleached flour convert and have been for a few years. What's the point of bleached? In Germany it's not allowed to bleached flour so I use unbleached all the time. I even try to use the darker flours but they don't always fit with the recipes I want to try. I made the switch a few months ago and love it!! I want to try KA....so far I've only used Gold Medal. I'd be interested in hearing more about Graham Flour. I bought my daughter the book Bakerella spoke of on her blog "Whoopie Pies". There is a recipe in there using Graham Flour. I've not heard of it and would like to find a supplier. Hopefully a grocery store that isn't out of the way and readily available. Definitely unbleached! I can only tell a slight color difference before cooking and none afterward. The less processing the better. I am in Canada too and have never noticed an option for unbleached flour, though I will make a concerted effort to look. Does it taste the same? 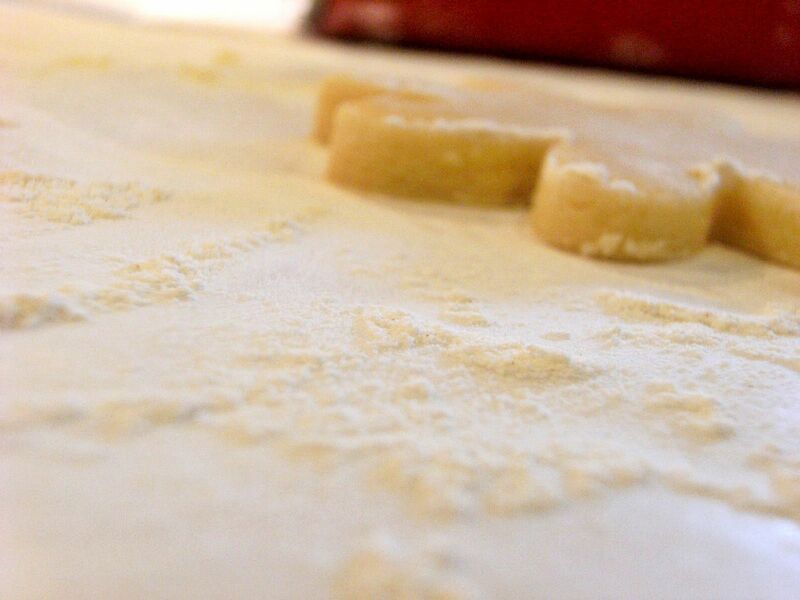 Do you use the same amount as "bleached" flour? I just tried cake flour for the first time EVER a few days ago. 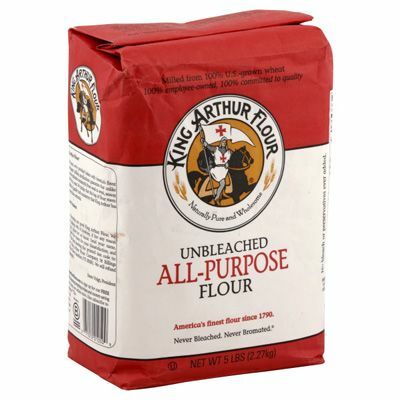 I've always used unbleached... and love King Arthur-- didn't even know there was another kind. I wrote a post a while back to profess my love for unbleached flour... mostly to hint to my mother-in-law that I hate her bleached flour. Ha! I only use King Arthur Flour in my kitchen...I first tried it because I wanted the unbleached, but then I just found that the results are better (because King Arthur has higher standards in making sure that the protein level in their flour is consistent). Also, I like that they are American owned, American products. And the White Whole Wheat rocks...I find I can use it in almost anything! I use unbleached flour for all my baking including my breads. We don't get KA here in Canada but my local grocery stores carry two brands of unbleached and in the 10 kg. bags which is the only way I buy it. I wish that they carried it in 20 kg. bags though. Same goes for confectioners sugar, I can only get it in 1kg bags which doesn't go a long way when icing cookies. Can't find a larger size anywhere including Costco! I really should be looking for a local wholesaler LOL! I totally agree - I always buy unbleached now! I agree with you, I only use unbleached flour for all my cakes. I once used the all-purpose, bleached flour but that was before I met you! Now I ONLY use unbleached flour. Whatever you recommend, I'm on it! I credit you for ALL of the success I've had baking! I bake almost every day and use only unbleached all purpose flour - I buy the big bags at Costco. I think I am up to the challenge of switching to only unbleached. Thanks for posting this. I always bought bleached (because my mom did) until you told me about unbleached flour. Now when I look at the white stuff it sort of scares me:) How do they bleach it.......and why?! I've been using it for a few months now and will never go back! I used to buy unbleached until I moved to Colorado and had to get a Baking at High Altitude Cookbook. I don't remember the scientific reason why, but the author recommended bleached for higher altitudes. Unbleached. If you have a Trader Joe's near you, they have King Arthur at a great price! I've never even though about it!!! I'll check out my Trader Joes! King Arthur unbleached white or white whole wheat flours are the only ones I use. Consistently great product. 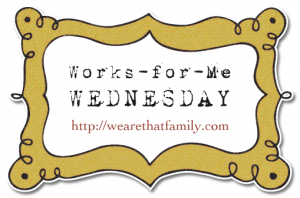 Thanks for this great post on unbleached flour, Bridget! It's awesome to hear all these positive comments from folks. @Carla, King Arthur Flour is not treated with any chemicals to hasten aging - the only thing that goes into our flour aside from wheat is the FDA-required enrichment. I'm definitely a fan of unbleached flour... and an even bigger fan of King Arthur! i don't, but after this post, i'm certainly gonna give it a try. Yes! Only unbleached flour and only King Arthur. In my book it is worth the extra expense. Bob's Red Mill runs a close second. I use it too. I can't remember the brand, but it's pretty cheap at Costco. I also like that I can buy 2 - 10 lb bags of this kind. The regular flour is in 50 lb bags (way too much for me to store at one time). Love love love all your splendid ideas and recipes!! I'm your newest follower! Thanks so much! I always wondered what is the difference but definitely unbleached sounds a lot healthier. Is there any difference to the pastry between using bleached and inbleached?? We go through flour so fast here. All Purpose and Bread flour. We have two 5 gallon buckets from Lowe's, lined with kitchen size trash bags. We buy the huge bags of unbleached flour from Cash 'N Carry. I don't think I've ever seen the King Arthur flour around here. But, we have recently discovered an amazing grocery store here, so maybe they have it. Make sure that the bags you use for storing flour is food safe. Garbage bags are not food safe. Some have pesticides inside them. Just learned of this the other day.Loved all the comments on the type of flour you all use. Am going to us unbleached flour from now on.